Racy and ravishing, this Red 1920s Flapper Dress is a fashion force to be reckoned with. If you are on the look out for red vintage bridesmaid dresses, then this plum beaded dress is a absolute winner. Perhaps you are on the hunt for the perfect wedding guest dress and you want to make a bit of a statement, this red embellished dress, with those perfect panels or sheer sexiness, is a safe bet for sensational style. We are wearing ours to fancy dos, serious dates and sometimes in the bedroom shimmying in front of the mirror (sorry, not sorry). 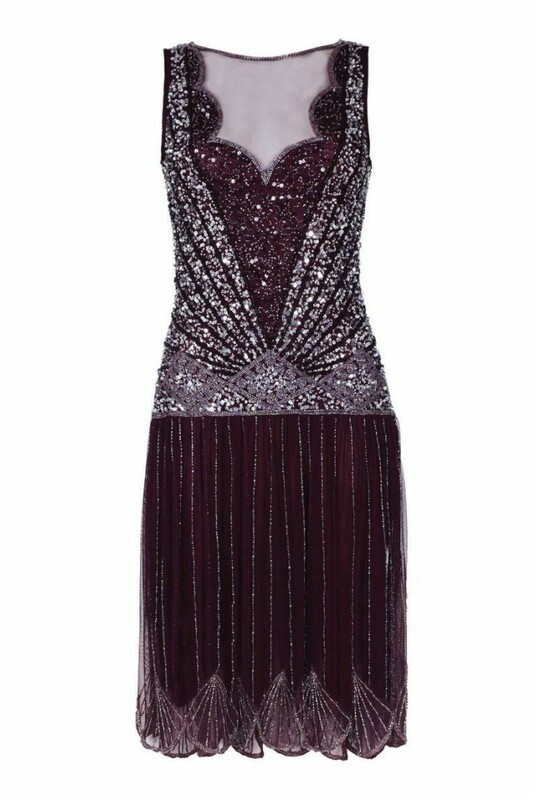 - Knee length flapper style dress in plum. 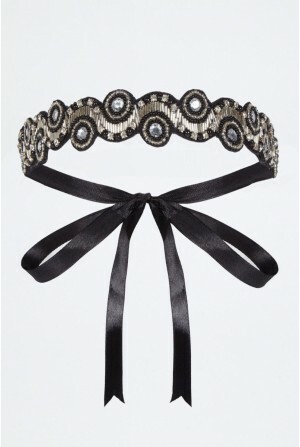 - Stunning linear, diamond and fan decoration in silver glass bead and sequins (disco ball explosion). - Scalloped hemline for classic Gatsby goodness. - Sheer panel to front and back to sass things up, thank you kindly.